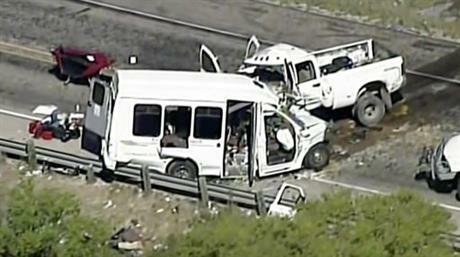 Texas Department of Public Safety (DPS) officials confirmed that at least twelve people died in a two-vehicle crash involving a church bus. A total of fourteen members of the First Baptist Church of New Braunfels, Texas, traveled to the Garner State Park area in Uvalde County, west of San Antonio. The church bus collided with a white pickup truck at about 12:30 p.m. on Wednesday. The cause of the collision is under investigation. DPS Spokesman Sergeant Conrad Hein told the Associated Press two passengers in the bus and the driver of the pickup truck sustained injuries in the crash. An ambulance transported the survivors to a hospital where they are undergoing treatment for their injuries. The crash killed twelve passengers in the bus, Hein confirmed. The bus and the pickup truck both sustained heavy damage to the front drivers-side area indicating a head-on collision. The rear of the bus landed on a roadway guardrail. 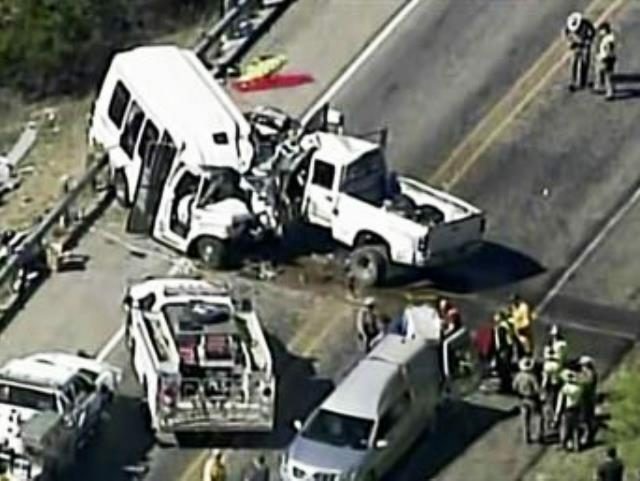 Church officials confirmed the seniors traveling in the bus were returning home from a three-day retreat at the Alto Frio Baptist Encampment located in Leakey, Texas, about nine miles from the scene of the crash. They said members of the church are ministering to the family members of those killed in the crash. We are saddened by the loss of life and our hearts go out to all those affected. We thank the first responders working on the scene in the wake of this unimaginable tragedy, and ask that all Texans join us in offering their thoughts and prayers. The names of the deceased church members and the identity of the driver are being withheld at this time.